188 pages of files copied from FBI Headquarters in Washington, D.C., covering Pablo Picasso. Files contain 90 pages of various information, memos, miscellany, and articles concerning Picasso's political activities in connection with the Communist Party of France and groups that the FBI considered subversive. 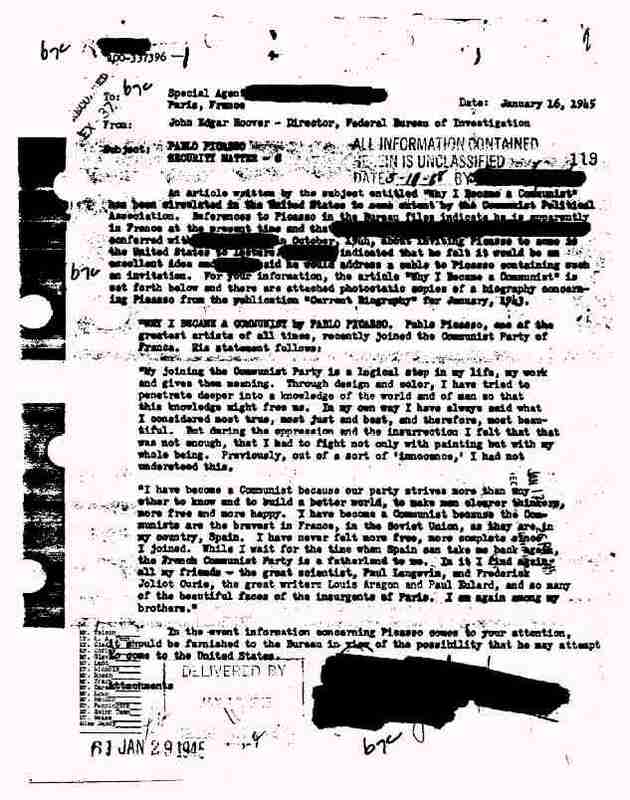 Files show that when Picasso joined the Communist Party in 1944 J. Edgar Hoover alerted agents in Paris to monitor any plans he had to travel to the United States.